1. Wash the shimarakkyo, peel off the thin skin and cut off leaves. 2. 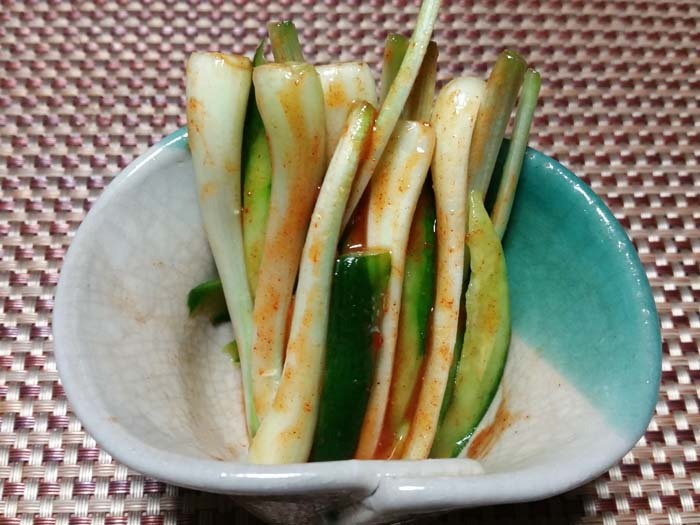 Cut cucumber same size pieces as shimarakkyo. 3. Put cucumber and shimarakkyo in a bag, add salt, rub lightly and leave for about 30 minutes. 4. Drain off water from the vegetables, add kimchi no moto and mix all ingredients. Let stand overnight in the refrigerator.